How about a Batman burger for tea? These DC dishes look delicious! Lots of DC themed cafes have opened in Asia! Unfortunately they are miles away from us at the moment, but fingers crossed they’ll be making their way to the UK soon! The top 5 super powers chosen by you! 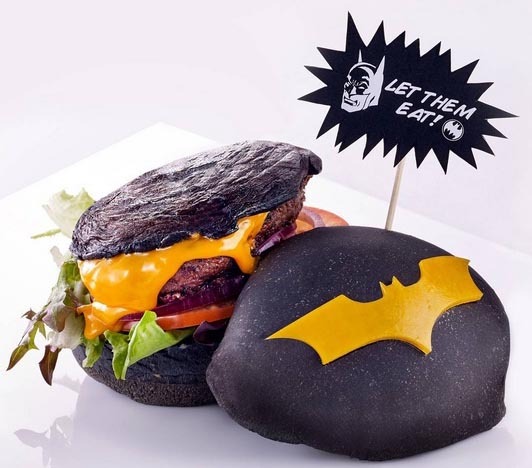 There is a Joker themed play area, an Aquaman seafood dish and the Batman burger buns have been dyed black especially for the cafe! Perhaps there could even be Soup-erman and Cia-bat-taman bread to start?